Top Score Gamerooms is your local source for game restorations, new pinball machines and restored pinball machines. We have many machines in our shop either being restored for customers or being worked on to be sold. Give us a call or check out our inventory online if your looking for a specific addition to your gameroom!. A Top Score modified Terminator 3 just finished up and going into a collection! We can help source and add a topper to your game to add an extra bit of theming to your pinball machine. We've got the tools, skills and services to powder coat almost any material. Ask us for pricing or more information! 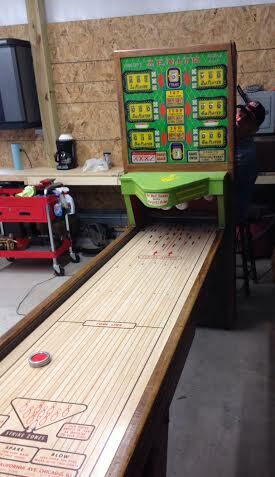 We frequently get shuffle alley machines in; This is a United Zenith Shuffle Alley being serviced by Mr Flipper Fritz. We add cliffy protectors to many of the games that are restored. 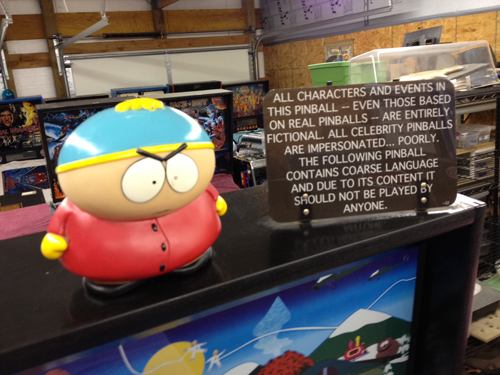 This will prevent your playfield from getting damaged!